Former medical representative Noel Andres was already a national manager at a pharmaceutical company in the Philippines when he decided to go full time on business. Although this meant giving up big opportunities in his career that lasted 7 years, he actually used his experience in the industry to start his business. “Yung pinakahuling business namen on a franchising, sabi kong ganun, gusto ko bago ako mag-resign as National Manager, yun na yung pinakamaataas na posisyon na makukuha ko pagdating sa sales, sabi ko gusto ko na mag-full time sa business,” Andres told ABS-CBN’s My Puhunan. The name “Snack Attack” was actually inspired by a medical representatives’ jargon. According to Andres, the term “snack attack” is used whenever they bring snack treats to doctors. In order to jumpstart his business, Andres borrowed P1 million from his father which he used to launch three branches in key locations in 2016. He then offered popular snack treats like fries, nachos, hotdogs, cheese sticks, and nuggets in combo meals and ala carte. The snack treats are packed with the juice in such a way that will bring convenience to people on-the-go. On its’ first day, Snack Attack made P16,000 in sales, encouraging Andres to push thru with the new venture. To set itself apart from other competitors, Snack Attack gets products from reputable suppliers. “The good thing about snack attack, yung product na ginagamit naten is coming from a reputable supplier. So the number one assurance is kung kapartner mo reputable supplier, at any given point, hindi ka magkakaroon ng out of stock issue. Then number 2, the assurance of the product na dumaan siya sa quality, so it’s a given fact na yun ang sinerve naten, kahit sinong customer kahit yung Snack Attack di pa nila kilala pag nakita nila yung drinks ba nila is coming from a reputable supplier,” Andres explained. 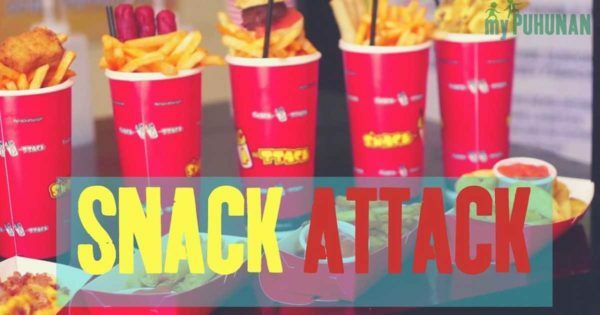 To learn more about Snack Attack franchise opportunities, check out their Facebook page.